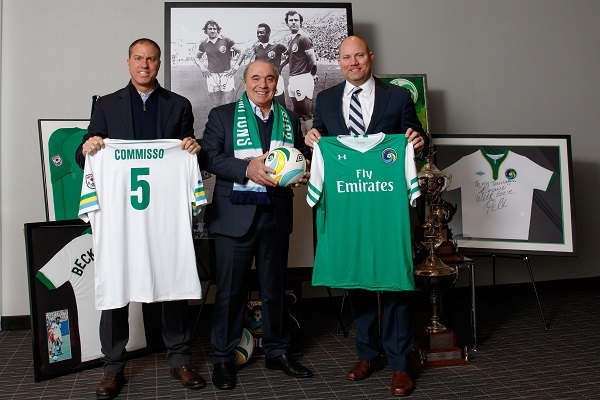 The New York Cosmos announced today that Rocco B. Commisso has purchased a majority ownership stake in the legendary soccer club and will become its new Chairman. Commisso is the Chairman and CEO of Mediacom Communications Corporation, a company he founded in 1995 to acquire and reinvigorate cable systems in the nation’s underserved smaller communities. In 2000, he directed a successful initial public offering for Mediacom, paving the way for the company’s dramatic growth into the nation’s 5th largest cable television provider, with 4,600 employees serving over 1.3 million customers in 22 states. He took the company private in 2011, and now Mediacom, with annual revenues in excess of $1.8 billion, is wholly-owned by Commisso and his family. Born in Calabria, Italy, Commisso immigrated to the U.S. at the age of 12, graduating from Mount Saint Michael Academy in the Bronx in 1967. He attended Columbia University earning both a BS degree in Industrial Engineering and a MBA degree from its Graduate Business School. 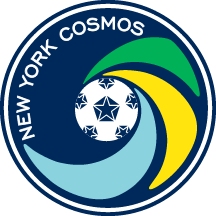 Commisso played soccer for the Columbia Lions from 1967 to 1970. He was a member of a freshman squad that finished with an undefeated record and served as Co-Captain of the 1970 team that made Columbia’s first ever appearance in the NCAA Playoffs. A three-time All-Ivy League Honoree, Commisso was invited to try-out for the U.S. Soccer Team organized for the 1972 Olympics. Commisso has been an active alumni contributor to Columbia soccer for over 40 years. In the mid-1970’s, he co-founded Friends of Columbia Soccer and, from 1978 to 1986, he was its Chairman. In 2013, Columbia recognized his contributions to the university by naming its soccer venue at the school’s Baker Athletics Complex as the Rocco B. Commisso Soccer Stadium. In 2015, the NYC Soccer Gala honored Commisso for his lifetime dedication to the game of soccer. This past October, Commisso was enshrined in the 2016 Class of the Columbia Athletics Hall of Fame.